In this episode, I’ll talk to Shaul Olmert, the founder and CEO of boiling Israeli start-up, PlayBuzz which only recently announced raising $16 million dollars of investment. PlayBuzz is the King of viral content online with over 500 million users around the world. We will talk about how PlayBuzz revolutionizes and democratizes online content creation, why you should only hire people who emotionally connect with what you do, why it is better to launch a product fast than wait until they’re perfect and how honesty is the best tool for pitching to investors. IDAN: So hello Shaul and welcome to the Camel. IDAN: I’m just going to tell you a little bit about how we’re gonna do it, okay? How we’re gonna have this interview. So most of the interview I’m going to ask you about your story. And we’re gonna get some insights from you about how you build your company and then the second part of the interview is going to be the camel race. I’m going to ask you a few quick questions and you’re going to provide short but inspiring answers. IDAN: Okay. So how about we start with a quick introduction to your company. What is it that you guys do? IDAN: Okay cool so if you know, just a quick example of how it works, let’s say I’m a publisher, I want to attract an audience to my website or to make some noise so I can create a quiz or something like that and spread it around and you guys have the platform to create it and to spread it as well, right? SHAUL: Yeah. It’s kind of like the same way that publishers use YouTube to upload videos and then embed them on the website, we offer a very easy, free, very accessible set of tools that can enable every publisher to… let’s say, publishers like AOL, NBC, Yahoo and many many others to very easily create content in those formats that just tend to be more popular than another long-form article and quickly make it part of their website or part of their app and those content items are on average much more popular and much more viral than any other piece of content that these publishers are publishing. SHAUL: Exactly. Like articles or videos which are the stand out or default content formats. IDAN: So, you know, so at this point I have to ask you, If PlayBuzz is all about those types of content, how was the idea for it born? I mean, how did you figure out that this is working and this is what we should try? SHAUL: So, as a consumer of social media I saw what’s working, what do people share, what populates my news feed on Facebook, in my Twitter feed and everything else and I saw that the most popular publishers are new publishers like 9GAG , like Buzzfeed, like Vice, Vox, and many others that didn’t exist a few years ago but are eating everybody’s lunch. And I tried to ask myself, what makes them so popular? I saw that the common denominator is the fact that they all use different, new, exciting types of content templates, content formats that traditional publishers just don’t have and I figured that if we enabled the old publishers, the old school publishers that have the best editorial staff in the world to create content using those templates, they will be able to be equally popular and that was the driver. Now the formats themselves changed. When we started, we started with trivia and then we moved on to personality quizzes and enabled lists and we’re now introducing a bunch of new formats that we constantly create and develop and the way in which people consume content will always evolve. People will grow tired of one paradigm of content and move on to another but it doesn’t really matter to us because whichever way people will consume content, we’ll always be there to enable publishers to create content in these ways, in these formats. IDAN: It’s very interesting because you really changed the way people consume content. What do you think made PlayBuzz so viral? SHAUL: I think we really hit a chord. We did not invent the way that the consumers interact with our content, we just followed it closely and were able to extend it to a wider set of publishers, so I think that if I have to pinpoint the very essence of the success, obviously you know, there are many ways to tell the story and many aspects to focus on. I would say that we democratized something that was very lucrative and owned by a very small subset of the world’s publishers and by making it available to everyone, we enable them to unleash their potential. Because all of these companies again, cosmopolitan, MTV, great brands with great editorial staff became a little bit less relevant since they didn’t have this tool set and then the moment we gave them access to this tool set, we enabled them to really unleash their potential and take advantage of all the great creativity and talent they have in-house. IDAN: I like this democratizing content. I like it. Did you think about it now or is it something you say to all the girls (laughs)? SHAUL: No, unfortunately. Don’t take it personally but you know, a lot of the statements I’m going to make today have been tested before. IDAN: (Laughs) Ok. So, let’s talk a little bit about your personal background. Please tell us a little bit about you know, where you come from and how did you become an entrepreneur. IDAN: It sounds very cool by the way. It sounds very cool. SHAUL: It used to be cool you know, I think that time working for MTV was really the coolest brand you can be associated with. SHAUL: I think that today it kind of sounds like you know; my grandpa saying that he used to work for IBM which I’m sure was really cool back in the 70’s. IDAN: (Laughs) at that time. Yeah. SHAUL: So anyway yeah, I came from the publishing side. I was always working on the intersection between content and games. Among other things, I was managing the games group at MTV Network. We created a lot of video games, mobile games, and online games and were always fascinated with how to create content, how to create games around content that people actually like. Around music, around children television when I worked for Nickelodeon, so you know, this obsession of our marrying the two, of taking great content and game experiences has always been my passion. IDAN: So I want to ask you a little bit, now that we know about your background. I wanna go into you know, the day that you actually started the company and i wanna talk about building a company and I wanna get some insights from you so, one of the questions we often ask to interviewees is, what is the most important thing to get done first when you start a new start-up? And what we really look for again, like I said in this question is insight about the right focus from day one. SHAUL: I was going through an accelerated version of my midlife crisis, I guess. I wasn’t very successful in my last few tenures, In my last few jobs. I wasn’t sure where my career was going. I was very frustrated because I was very passionate about what I did and I really tried and I worked really hard and things didn’t go well both in terms of our production of the results I was driving and just in terms of me, you know, I didn’t find myself. I wasn’t sure you know, what am i doing? What I wanna do? I began to question whether the career path I chose is really the right for me. I began to ask myself should I look elsewhere. Am I really good at what I do and you know, I was going through this endless cycle of the more you think about it, the more depressed and non-productive you get and then this idea came up and when it started, I started showing it to people and they felt it was lukewarm you know, some people told me that sounds exciting, some people said that but I wasn’t you know, sure if they really mean or just saying it to make me feel better about myself. Some people where very honest, they were very critical about it. All sorts of directions. So it wasn’t a home run. It wasn’t one of those cases in which everybody is so excited and you just know you’re onto something. On the contrary, a majority of people tried to deviate me away from it and I was listening so you know, I was for about a year, I was hanging around with this idea, telling it to people and began to feel quite insecure about it but at the same time I noticed that even though a lot of people are criticizing the idea, I always come back to it. So after one conversation I would be like, okay I guess it was a wrong idea and I just had so many articulated arguments for why it’s not going to work. So I should move on. Let’s leave it aside and think about something else. But then a day or two later, I would come back to it you know. At some point, I realized that this idea is stronger than me. I’m totally obsessed with it and that you know, I just got to do it not because I know exactly that it’s gonna be successful but because I’m really into it and I just can’t get, I can’t break away from it and I think that was the turning point. That was the point in which I realized that it’s the call of duty. That I just got to go and do it and maybe it’s gonna work maybe it won’t but this is what I need to do, this is what I want to do right now. And again, it was the first time I did it. Many of the entrepreneurs that you guys interviewed before have been entrepreneurs all their lives. You know, they were starting their own company when they’re in the crib or something so it wasn’t the case I was actually a corporate dog for many years and then this thing you know, this thing just kind of happened to me, kind of landed on me. IDAN: Would you say that the fact that you have many many friends in the industry, people that you knew in the industry affected you? SHAUL: I, whatever, you know., I’m no longer a spring chicken. I have been in the industry for many years and have had lot of successes and quite as many if not more failures so I’ve been around, I’ve met a lot of people, interacting with people and yes it’s great to be part of an ecosystem because you constantly need feedback even today that we are very successful it’s not like you know it’s not like we know everything and it’s not like we feel that we have all the answers on the contrary we only have more you know more anxiety and more things that we need to worry about so it’s really great to get feedback and to listen to the feedback. At the end of the day you know the gut feeling has won. The feedback was quite negative and at the same time it was highlighting of a lot of different angles and risk factors and things that I should worry about or be minded of and at the same time I couldn’t get over the gut feeling you know despite all those educated arguments for what can go wrong I still has this urge to go ahead and try it anyway. IDAN: so you know when you look back at the beginning of this journey when you know when you talk about these criticisms and when you talk about all the emotions you had at the beginning, what were the first crucial steps that you took, that have made all the difference for PlayBuzz. SHAUL: I think that when we talk about you know, the stage of conceiving the company it was a lot about my own experiences as a user. Some people you know, I envy those people that graduate out of university and have all the options open for them. They say, I can just start a business, I can be an investment banker, I can go work in a marketing capacity, I can start my own company, I can sign up as an executive at an insurance company. I’m not like that. I’m very narrow minded in the sense that I got to be doing something that I totally feel passionate about that I totally relate to the product. I don’t have the flexibility to look at a brand new industry and immediately connect with it so everything I’ve done in my career has always been about, again as I said, the intersection between content and games. And you know that’s what I like. So I think the most crucial stages in and the fact that I was so hooked on this idea was the fact that I kept playing with similar things and I kept you know trying things and I just felt very attached to it. It felt right to me, I enjoyed it, I said you know it’s fun, I’m sure other people would find it fun as well. And even though again I listened very carefully to all the different things that can go wrong, I couldn’t break away from this emotional connection, from this feeling that there’s just something about it that I really like. Later on there were many other jumps in the company’s evolution in which we took many decisions and made different bets but at that stage I think that was really the guiding factor. The fact that I just really wanted, you know, this product to exist. IDAN: So the emotional connection to the product, was there a physical thing that you did as well? Like you know, going and starting executing something, building something basic, was it something like that as well? SHAUL: We’ve done a lot of research, both passive and active. So both, you know, reading and looking for data and talking to people as well as experimenting with different things. You know, I opened a Google AdWords account and I started buying different keywords to test what kind of things people click on you know, trying to validate some of the marketing concept I had in mind. Coming from a marketing background, it was an obvious place for me to start. I created offline versions of the first version of PlayBuzz which is very different than what the product is today but I tried to create just a pen and paper version and let people play with it and honestly it’s very hard because it’s very hard for someone to come and showcase something that is sub-par, which is not perfect. IDAN: Yeah, He needed to know something about money, needed to know how to count, right? SHAUL: Yeah, but in the majority of positions here, the developers, the product people, the community people, the content people, it’s more about the connection to the product and less about the specific experience. When we hired our first person who has now evolved to be a VP of content, she had zero digital experience. She never produced any piece of digital content but she was savvy in digital culture. She had a Twitter account with a lot of followers, she understood digital media. She, you know, she connected to the essence of what we do and so I had the feeling, you know, I had a gut feeling that she’ll relate to what we do in a much deeper sense than someone, let’s say who worked as a content producer for a similar company before but may have different personal aspirations. So I think it’s really a lot about, you know, it’s a lot about that connection when you start you have to find the people that really connect and if they really have this emotional attachment, they are more likely to find new ways to solve the problems, to find new ways to hit a chord with users and develop something that really resonates with them than someone who is on paper more experienced but is not necessarily there emotionally. SHAUL: We’re battling with a very unique situation in which we’re growing in a very accelerated pace so we’ve grown from six employees to more than 60 employees in I want to say, something like eight months. IDAN: On every mistake you do. SHAUL: Exactly. And every time we do something that’s not on par with expectations, we get hammered for it but we stopped trying to do everything perfect, we’ll never release any product, we’ll never make any progress so, you know, the goal is to try and be perfect or close to perfect with the things that are the core essence and acknowledge that the rest of it is gonna be sub-optimal for a while and will grow with time. When I look at the stuff we launched with, it’s really embarrassing, you know, it’s very rudimentary, it’s very poorly done but it was the only way, you know, I really owe most of the credit to Tom, my partner in crime who’s heading up product development and came from a product background and insisted on us launching with a level of product that I would never have the courage to release if it wasn’t for him. And it was great because once we released it and started seeing how people use it and started collecting feedback, it shifted us in different directions that we didn’t think of before and had we spend six more months in perfecting something that was going in a total different direction who would have totally missed the boat. So it’s really important to prototype, to release the early version, to fix on the fly. We released the product that was crashing every other day; especially when it started getting traction and we got crazy loads of traffic that we weren’t prepared for. We were constantly criticized for a lot of things we did wrong but those are how we learned. So every time the thing that I so feared for has happened, then we really got criticized for doing things in a very basic way, that drove us to huddle back and fix that. Also know which one of the things, because many of the things that we were very anxious about, people were completely okay with. Until this very day, you know I thought that they’ll be completely intolerable and we mustn’t release something that’s so immature but some of it will probably live for the next decade and nobody will complain about. IDAN: So it’s very important to be out there and base your development on what people actually do and respond to and not based on your own hypothesis of what’s important. SHAUL: So move fast and break things. 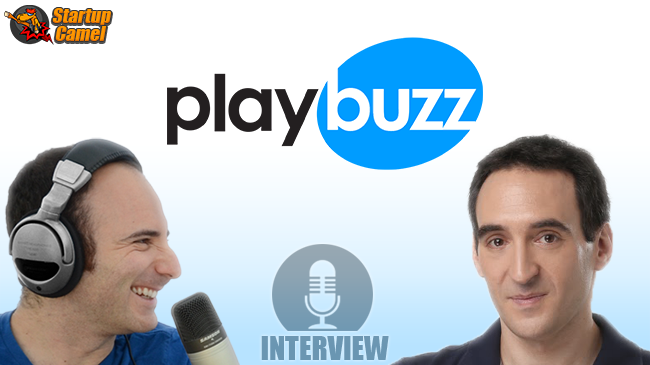 IDAN: Well Ok. Let’s talk about the future of PlayBuzz. What is your vision for PlayBuzz for the upcoming years? SHAUL: So I think we remain very true to our basic vision of creating an open network. People underestimate how important it is to have an open network. There are many companies that create great products and then sell them to partners and go through inevitable reasonably long sales cycles and the relationships in which they’re always trying to squeeze more dollars out of their customers and their customers are always trying to spend as little as possible. I think that there’s an inherent misalignment in this equation and when you look at the companies that were really able to disrupt the market and grow very big like YouTube, like Facebook, like Twitter, like WordPress, like Google, they are all about offering an open architecture, meaning that everyone can be part of this ecosystem and everyone could create a business on top of this infrastructure. The infrastructure gives them the tools to do that and then the ones that grew really large are the ones that were smart enough to also embed some sort of monetization mechanism into it in order to accelerate it but while Google and Facebook for instance used paid mechanism in which you know, the basic service is free but the ones that really want to accelerate it have to spend money. Some others like YouTube for instance are still non transactional, are still completely free, they find different ways to monetize. SHAUL: So I think that, you know, maintaining an open architecture is really the condition or the primary tool to experience this kind of leadership position. IDAN: Excellent. Last question before the camel race. Are you hiring? SHAUL: Yeah, we’re hiring everyone. Really the criteria is we’re looking for people that that love spending time on the internet, love goofing around with content, just you know enjoy the experiences of social media and social implications and we have a variety of different positions in every single department of the company. Really the guiding principle is that we’re looking for those kinds of people. IDAN: Okay, Where do they send the resumes if they’re interested? SHAUL: Sure. Thank you. 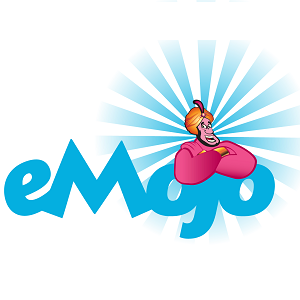 Its jobs@playbuzz.com. So, our human resources manager is waiting for your emails. IDAN: Excellent. Okay, so it’s time for the second part of the interview. I’m going to ask you a few quick questions and you’re going to provide super inspiring answers. Are you ready for this? IDAN: So, first question, how do you keep motivation on your side through tough moments? SHAUL: Being a CEO of a company is indeed a very challenging experience. You know, I wasn’t ready for how demanding it is. I really, it sounds like a cliché but I surrounded myself with people that are very high spirited, very motivated and I just, you know, I just can’t afford to be worried when I’m around them because I need them to be strong so they keep me strong and hopefully vice versa. IDAN: What is the one personality trait that you think every entrepreneur has to have? SHAUL: I think that every entrepreneur needs to contain because you’re going to see a lot of people around you, not on your employees, sometimes even your investors and other people that are very experienced. You’ll find that you have to contain them, to understand their motivations and their anxieties and their hopes and what really drives them and really find a way to maneuver in a way that addresses all of these expectations at least properly. It often feels very lonely like you are the only one that nobody asks, what do you want? What do you care about? You have to address everybody else’s expectations and will be able to contain it. IDAN: Excellent. What is the best tip you ever received before a presentation for pitching to investors? SHAUL: I think that when I try to, I don’t remember who gave me this advice but I’ll dispense it anyway to others. When I present to investors, I remember my selling points and you know obviously I don’t talk about the side of the business that are not performing the best, I focus on the ones that do. You know, I focus on the strength not on the weaknesses but I try to be completely honest. You know, I feel like, the secret is to be out there and know that you feel 100 percent confident in everything you’re selling so I really like to come to presentations and especially now that we’re successful and say things that sound humble like say hey by the way when it comes to monetization for instance we are really just at the beginning and I honestly have no idea. I ignore my projections, my revenue projections for next year because I completely scrapped something without even understanding what I’m doing. Let’s focus on the part that we really do well and here it is. And you know, that way, you know I feel that when I feel completely confident, you know it’s contagious. People buy into it. IDAN: Are you a reader and if so, what is your favourite book? Preferably a business book. SHAUL: So I’m a very avid reader and I travel a lot which gives me a lot of time to read but I mostly read fiction. IDAN: What is your fiction… most favorite book? SHAUL: I think the Bible. It is an excellent book. SHAUL: Wow. Choosing one book is going to be challenging. I do read, just in terms of quantity I’ve probably read on average something between 4 & 5 novels per month. Something like that. IDAN: So give us a recommendation. One book you like. SHAUL: One book I like, Okay. Stoner by John William, I read recently, an excellent book. IDAN: Its good enough I think. What would be your advice to aspiring entrepreneurs or people who want to, you know, join the start up scene. SHAUL: I will only say that I can speak from my own experience, other entrepreneurs will give different advice so you know, don’t follow just my advice. Listen to others as well. Mine would be, “Go with something that you really really feel passionate about. Don’t start a company because you just read a business article that said that some market is boiling right now. If you have attachment to this market then there will be others who do have attachment to it and will do a much better job. Focus on the stuff that really drives you and if something really drives you, don’t worry too much about the research report that shows that this market it is already saturated. Look at Google for instance, when Google I remember that when Google started everybody spoke about the fact that they are actually gaining some nice traction but obviously the search market is dead and dominated by the likes of Alta Vista and what was the name. SHAUL: Yeah. And those kind of companies. It would be impossible to penetrate and you know obviously that reality proved otherwise. When you do something that you’re very passionate about, it doesn’t have to be something playful or something entertaining like in my case. I guess the entrepreneurs of Google were very passionate about perfecting search algorithms, at finding ways to organize information. When you have that passion, you may have a chance to actually break through. IDAN: Which company from the start up scene would you recommend us to pay special attention to? SHAUL: There are a bunch of them. I really like Similar Web. I think that they are doing an outstanding job in solving a problem that is endless. So it always needs more solutions. I really like 90 minutes formerly known as FTP pro. a. because I like sports, I like football but also because I think they’re doing a phenomenal job in harnessing user-generated media in a very professional way. I really like a bunch of others and I bet you, I’m going to get a lot of angry phone calls from my friends that I forgot to mention. IDAN: So we actually had OrS on the show and it was awesome, from Similar Web and we are going to have 90 minutes, I hope so, soon. So last question for today, what are you doing tonight after switching off? SHAUL: After switching off, I’m taking a flight to New York which is what I normally do. IDAN: And then you read. SHAUL: What’s that? Exactly. And then I’m going to read on the flight. Just to say, in the next few days I’ll complete a ten day cycle in which I never slept in the same city for more than one night. So, you know, I’m constantly on the road and you know, it’s the price you pay for having a successful company and you know, I humbly pay it with joy. IDAN: Excellent. Well, that was Shaul Olmert from Play Buzz. Thank you very much for that awesome interview. It was very inspiring and your story is very interesting. Why don’t you please tell our listeners how they can reach you and we’ll say goodbye. SHAUL: Sure, Today it’s not so much of an issue to reach anybody; you can find me on Linkedin, on Facebook, anywhere else. I do answer people, I have to warn you though that I really answer very genuinely so if someone comes to me and say, “Hey, you know, I have these great idea for this and that, you know, I may tell him, okay, let’s meet and you know, hear more about it or I may tell him, you know what, sounds like an interesting idea but it’s a domain I know absolutely nothing about and you know, I can’t really help you. So I promise to be very honest, not to waste your time and not to let you waste mine, but by all means I encourage everyone that has anything that they think I can be interested in to contact me. IDAN: ok. 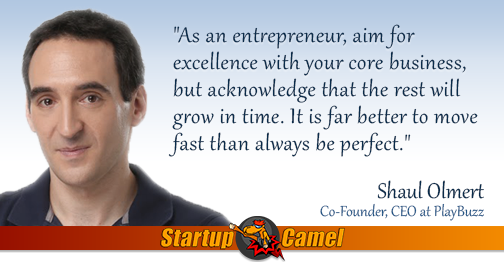 So thank you again Shaul and thank you guys for listening to this episode of Startup Camel. If you want to know more about Shaul and PlayBuzz, Please check out our website startupcamel.com and please join us next week for an episode full of insights, inspiration and motivation from the start up scene. Till then, I’m Idan Hershko signing off. Goodbye. One of the top marketers and media professionals in the start-up scene, Shaul Olmert – co-founder and CEO of Israeli startup Playbuzz – is taking online content creation to a whole new, viral level. Shaul is an expert in consumer content creation, and in producing games that people use and love, with a rich experience working for global media companies on the intersection between content and games. Prior to launching his entrepreneurial journey with Playbuzz, Shaul served in various senior management roles in the media industry, most notably as VP Digital Products at MTV Networks in New York. Related Content: Avishai Sam Bitton from imonomy on Building Marketing Strategy from the Ground Up. With more than 10 million Playbuzz content items shared each month and approximately 500 million users worldwide, Israeli startup Playbuzz is redefining the word ‘viral’. Playbuzz is a free open platform that enables every content creator (e.g. influencers, bloggers, publishers and brands) to use a ready-made playful templates to create highly engaging content for readers and consumers. Over 5,000 websites and mobile app publishers – including some of the biggest brands in the world – use the Playbuzz platform to create, distribute and embed quizzes, listicles, polls and more. Playbuzz.com houses all of this great content, and by itself has become a highly popular standalone website.